Don’t let the word “bar” detour you from taking your family to the restaurant with one of the best kid meals in town! 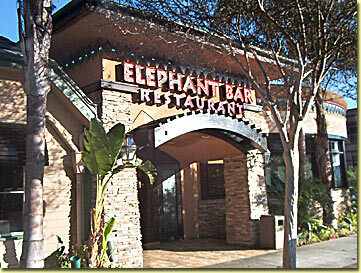 Elephant Bar Restaurants are located throughout California and Arizona, with Kansas, Texas, Missouri locations opening soon. The ambiance is safari style fun and kid friendly. When you’re seated, the kids receive an animal mask, a coloring/game page, and crayons to play with while they wait for their meal. The food for kids at the Elephant Bar Restaurant is excellent and a rare find for parents. They actually offer a wonderful selection of “real” food, which comes with a drink and a sundae for under $4 dollars! Everything from South of the Border Chicken Tacos that are served on a large plate with a selection so they can create their own personalized tacos to Oriental Stir Fry. The adult food hosts a wide selection with over 35 entrees under $10 dollars. Grilled Mahi Mahi sandwiches, Bangkok Stir-Fry, Sizzling Cantina Fajitas, Caribbean Pot Roast, and great burgers are some of choices you’ll find on the menu. The service was friendly and most importantly, the kids had a fun time and a really good meal! Note for seniors: A Seniors Explorers Club Card is available for people 60 and over and gives a discount on meals, but not on the kid meals or beverages. Rainforest Cafe is a themed restaurant chain owned by Landry's Restaurants, Inc. of Houston, Texas. 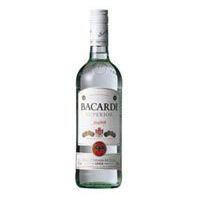 It was founded and created by entrepreneur Steven Schussler. 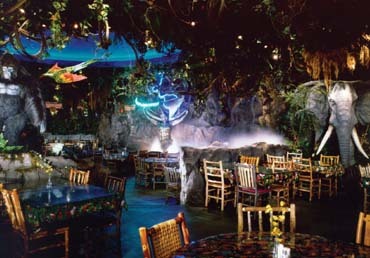 The restaurant is decorated to resemble some features of a rain forest, including plant growth, mist, waterfalls, robotic animals and bug life. Large marine aquariums are common in most restaurants. Automated water sprinklers, set to specific patterns and coinciding lights are also featured. A simulated thunderstorm occurs every 30 minutes. It is not only simulated rain; in addition, lights flash to look like lightning while thunder is played through high-powered subwoofers, and all the robotic animals panic. The restaurant is partitioned into several rooms by means of rain curtains which fall into basins running along the tops of partition walls and booths. The flow rate of these rain curtains intensifies during the simulated thunderstorms. Some of the The Rainforest Cafe restaurants also have a Retail Village where rainforest themed merchandise is sold. George Brett, long time Kansas City Royal and baseball future hall of famer opened a great restaurant in Kansas City named, of course, George Brett's. At George Brett's you will be treated to a large collection of George's baseball memorabilia as well as some of the best American food on the Country Club Plaza. George's Big & Tall Drinks, and Specialty Martinis. George Howard Brett (born May 15, 1953 in Glen Dale, West Virginia) is a former Major League Baseball player for the Kansas City Royals. He is considered one of the greatest third basemen in Major League Baseball history. Brett was the youngest of four sons of a sports-minded family which included his oldest brother Ken, a major-league pitcher who had pitched in the World Series in 1967 at just barely 19 years old. (Brothers John & Bobby had brief careers in the minor leagues.) Although George was born in the Northern Panhandle of West Virginia, the Brett family moved to the Midwest and later to El Segundo, a suburb of Los Angeles, just south of LAX airport. George grew up here, hoping to follow in his three older brothers' footsteps. He graduated from El Segundo High School in 1971 and was drafted by the fledgling Kansas City Royals in the second round (29th overall) of the 1971 baseball draft. Interestingly, Hall of Fame third baseman Mike Schmidt was drafted with the next pick (30th) by the Phillies. Brett began his professional baseball career as a shortstop, but had trouble going to his right defensively and was soon shifted to third base. As a third baseman, his powerful arm remained an asset, and he remained at that spot for well over 15 years. Brett's minor league stops were in Billings, Montana (1971) for Rookie League, San Jose, California (1972) for Single-A, and Omaha, Nebraska in 1973 for Triple-A with the Omaha Royals, batting .291, .274, and .284 respectively. The K.C. Royals promoted him to the major leagues on August 2, 1973, where he played in 13 games and was 5 for 40 (.125). Brett won the starting third base job in 1974, but struggled at the plate until he asked for help from Charley Lau, the Royals' hitting instructor. Spending the 1974 All-Star break working together, Lau taught Brett how to protect the entire plate and cover up some holes in his swing that experienced big-league pitchers were taking advantage of. Armed with this knowledge, Brett developed rapidly as a hitter, and finished the year with a .282 batting average in 113 games. Brett topped the .300 mark for the first time in 1975 with a .308 mark, then won his first batting title in 1976 with a .333 average. The four contenders for the batting title that year were Brett and Royals teammate Hal McRae, and Minnesota Twins teammates Rod Carew and Lyman Bostock. In dramatic fashion, Brett went 2 for 4 in the final game of the season against the Twins, beating out his three rivals, all playing in the same game. His lead over second-place McRae was less than .001. The title was marred by accusations of a racial angle as Twins left fielder Steve Brye let a fly ball drop in front of him. The ball bounced on the Royals Stadium AstroTurf over Brye's head to the wall, and Brett circled the bases for an inside-the-park home run. One batter later, McRae grounded out to assure Brett of the batting crown. From May 8 through May 16, 1976, Brett had 3 base hits in 6 consecutive games, a Major League record. That year, the Royals won the first of three straight West Division titles, beginning a great rivalry with the New York Yankees — whom they faced in the American League Championship Series each of those three years. In the fifth and final game of the 1976 ALCS, Brett hit a three-run homer in the top of the eighth inning to tie the score at six — only to see the Yankees' Chris Chambliss launch a solo shot in the bottom of the ninth to give the Royals' rivals a 7-6 win. A year later, Brett emerged as a power hitter with 22 home runs helping the Royals to another American League Championship Series, 1977. In 1978 Brett batted "only" .294 (the only time between 1976 and 1983 in which he did not bat at least .300) in helping the Royals win a third consecutive American League West title. However, Kansas City once again lost to the Yankees in the ALCS, but not before Brett hit three home runs off Catfish Hunter in Game Three, becoming only the second player (after Bob Robertson in Game Two of the 1971 National League Championship Series) to hit three home runs in an LCS game. Brett proceeded to have an incredible 1979 season, in which he finished third in MVP voting. He became the sixth player in league history to have at least 20 doubles, triples and homers all in one season (42-20-23) and led the league in hits, doubles and triples while batting .329, with an on-base percentage of .376 and a slugging percentage of .563. All these impressive statistics were just a prelude to 1980, when Brett won the American League MVP and batted .390, a modern record for a third baseman. Brett's batting average was at or above .400 as late in the season as September 19, and the country closely followed his quest to bat .400 for an entire season, a feat which has not been accomplished since Ted Williams in 1941. Brett's 1980 batting average of .390 is second only to Tony Gwynn's 1994 average of .394 for the highest single season batting average in the last 65 years (next at .388 are Rod Carew (1977) and Ted Williams (1957). Brett also recorded 118 RBI, while appearing in just 117 games. Brett started out slowly, hitting only .259 in April. In May, he hit .329 to get his season average to .301. In June, the 27 year-old third baseman hit .472 (17-36), raising the season's average to .337, but played his last game for a month on June 10, not returning to the line-up until after the All-Star Break on July 10. In July, after being off for a month, he played in 21 games & hit a spectacular .494 (42-85), raising his season average to .390. Brett started a 30 game hitting streak on July 18, which lasted until he went 0-3 on August 19 (the following night he went 3-3). During these 30 games Brett hit .467 (57-122). His high mark for the season came a week later, when the batting average was at .407 on August 26, after he went 5-5 on a Tuesday night in Milwaukee. He batted .430 for the month of August (30 games), and his season average was at .403 with 5 weeks to go. For the three hot months of June, July, & August 1980, George Brett played in 60 American League games and hit an astounding .459 (111-242), most of it after a return from a month-long injury. For these 60 games he had 69 RBI's and 14 home runs. Brett missed another 10 days in early September and hit just .290 for the month. His average was at .400 as late as September 19, but he then had 4 for 27 slump, and the average dipped to .384 on September 27, with a week to play. For the final week, Brett went on a 10-19 tear, which included going 2 for 4 in the final regular season game on October 4. His season average ended up at .390 (175 hits in 449 at-bats = .389755), and he averaged more than one RBI per game. Brett was the first major league player since 1950 (Walt Dropo and Ted Williams, both of Boston Red Sox) to have more than one RBI per game (90 or more RBI's). Brett led the league in both on-base percentage (.454) and slugging percentage (.664) on his way to capturing 17 of 28 possible first-pace votes in the MVP race. . Since Al Simmons also batted .390 in 1931 for Philadelphia Athletics, only higher averages subsequent to 1931 were by Ted Williams of the Red Sox (.406 in 1941) and Tony Gwynn of the San Diego Padres (.394 in strike-shortened 1994 season). More importantly, the Royals won the American League West, and would face the Eastern champion Yankees in the ALCS. In the 1980 post-season, Brett led the Royals to their first American League pennant, sweeping the playoffs in three games from the rival Yankees who had beaten K.C. in the 1976, 1977 and 1978 playoffs. In Game 3, Brett hit a ball well into the third deck of Yankee Stadium off superstar closer Goose Gossage. Long-time ABC broadcaster Howard Cosell commented "...it looked like Gossage let up on that pitch that Brett hit out, and Brett made him pay for it." A few seconds later the ABC radar gun showed the pitch's speed at 98 mph, Gossage's fastest pitch of the game. The baseball bat used by George Brett in the Pine Tar Incident on July 24, 1983. "I've never seen this," said sportscaster and ex-Yankee Bobby Murcer on WPIX as he watched McClelland measure the bat across the plate. "I never have either," said Murcer's partner, Frank Messer. A few moments later, the home plate umpire, Tim McClelland, signaled Brett out. Years later, Brett explained his outburst by saying "It was just such an extraordinary thing to hit a homer off [Gossage], the thought of losing it was too much". In the same interview he also humorously chided his teammate Hal McRae (who was on deck) for not removing the bat from home plate before Billy Martin could have it inspected. "If Hal had [taken the bat], then I'd only be known for hemorrhoids," Brett quipped . The Royals protested the game, and their protest was upheld by AL president (and former Yankees chief executive) Lee MacPhail, who ruled that the bat was not "altered to improve the distance factor", and that the rules only provided for removal of the bat from the game, and not calling the batter out. The game was continued later that season, starting after Brett's homer. Billy Martin had one last trick up his sleeve, appealing the play before, saying the umpires had no way of knowing Brett and the other runner had touched all the bases. Martin was stunned when the umpires produced affidavits saying he had. The game had virtually no effect on 1983's pennant race, but was in many ways the closing chapter on a heated rivalry. The video of the enraged Brett is replayed often on the anniversary date of July 24, and the Pine Tar Game has become part of baseball folklore. Brett's famous pine tar bat is now on display at the Baseball Hall of Fame in Cooperstown, New York. In 1985, Brett had another brilliant season in which he helped propel the Royals to their second pennant. He batted .335 with 30 home runs and 112 RBI, finishing in the top 10 of the league in 10 different offensive categories. Defensively, he won his only Gold Glove. In the final week of the regular season, he went 9-for-20 at the plate with 7 runs, 5 homers, and 9 RBI in six crucial games, five of them victories, as they Royals closed a gap and won the division title at the end. He was MVP of the 1985 playoffs against the Toronto Blue Jays, with an incredible game 3. With KC down in games 2-0, Brett homered in his first two at bats against Doyle Alexander, and doubled to the same spot in right field in his third at bat, leading the Royals comeback. Brett then batted .370 in the World Series against the St. Louis Cardinals, as the Royals again rallied from a 3-1 deficit to become World Series Champions for the first and only time in Royals history. In 1988, Brett moved across the diamond to first base in an effort to reduce his chances of injury and had another MVP-calibre season with a .306 average, 24 homers and 104 RBI. But after batting just .290 with 16 homers the next year, it looked like his career might be slowing down. He got off to a terrible start in 1990 and at one point even considered retirement. But his manager, former teammate John Wathan, encouraged him to stick it out. Finally, in July, the slump ended and Brett batted .386 for the rest of the season. In September, he caught Rickey Henderson for the league lead, and in a battle down to the last day of the season, captured his third batting title with a .329 mark. This made him the first player in history to win batting titles in three different decades. 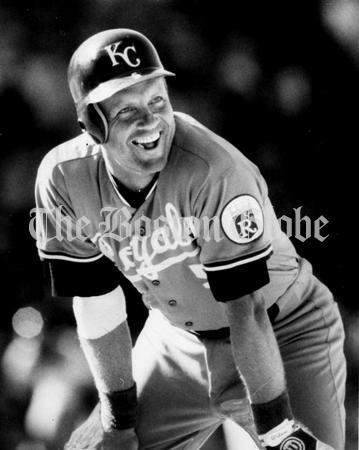 Brett played three more seasons for the Royals, mostly as their designated hitter, but occasionally filling in for injured teammates at first base. He passed the 3,000-hit mark in 1992 and retired after the 1993 season. In his final at-bat, he hit a single up the middle against Rangers closer Tom Henke and scored on a home run by teammate Gary Gaetti. The Kansas City Royals have retired Brett's number 5. He was voted the Hometown Hero for the Royals in a 2-month fan vote. This was revealed on the night of September 27, 2006 in an hour-long telecast on ESPN. He is one of the few players to receive over 400,000 votes. His 3,154 career hits are the most by any third baseman in major league history, and 15th all-time. Baseball historian Bill James regards him as the second-best third baseman of all time, trailing only his contemporary, Mike Schmidt. Brett was elected to the Hall of Fame in 1999, with what was then the fourth-highest voting percentage in baseball history (98.2%), trailing only Tom Seaver, Nolan Ryan, and Ty Cobb. In 2007, Cal Ripken Jr. passed Brett with 98.5% of the vote. He received the highest percentage for an infielder ever, higher than all-time outfielders Babe Ruth, Hank Aaron, Willie Mays, Stan Musial, Ted Williams, and Joe DiMaggio. That same year, he ranked Number 55 on The Sporting News' list of the 100 Greatest Baseball Players, and was nominated as a finalist for the Major League Baseball All-Century Team. Brett is one of four players in MLB history to accumulate 3000 hits, 300 home runs, and a career .300 batting average (the others are Stan Musial, Willie Mays, and Hank Aaron). Most indicative of his hitting style, Brett is fifth on the career doubles list, with 665 (trailing Tris Speaker, Pete Rose, Stan Musial, and Ty Cobb). Combining his superior hitting skill with his great defensive ability and team focus (& humility), George Brett is arguably one of the most complete baseball players of all time. Following the end of his baseball career, Brett became a vice president of the Royals and has worked as a part-time coach, as a special instructor in spring training, filling in as the batting coach, and as a minor league instructor dispatched to help prospects develop. In 1998, an investor group headed by Brett and his older brother, Bobby, made an unsuccessful bid to purchase the Kansas City Royals. He also runs a baseball equipment company, Brett Bros., with Bobby and Ken Brett, and owns a restaurant on the Country Club Plaza. In 1992, Brett married the former Leslie Davenport and they currently reside in the Kansas City suburb of Mission Hills, KS. The couple has three children: Jackson (named after his father), Dylan, and Robin (named for fellow Hall of Famer Robin Yount of the Milwaukee Brewers). 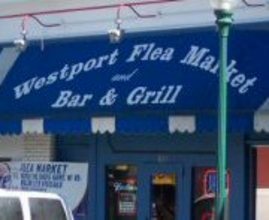 The Westport Flea Market is known for serving Kansas City's best hamburgers. They also feature live music on Sunday nights. 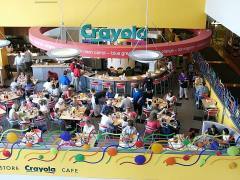 The Crayola Cafe is a celebration of food, color and fun, offering moderately priced family dining. Boasting a menu that has "something for everyone," Crayola Cafe is sure to satisfy even the toughest critic! Kids can choose from an array of dishes including Chicken Fingers and Fries, Macaroni and Cheese, or a Peanut Butter and Jelly Sandwich. Crayola Cafe also serves appetizers, desserts, and specialty drinks that were designed with kids in mind. Although we pride ourselves on being "kid friendly," Crayola Cafe is not just for kids! The regular lunch and dinner menus feature delicious selections that will appeal to the more experienced diner. 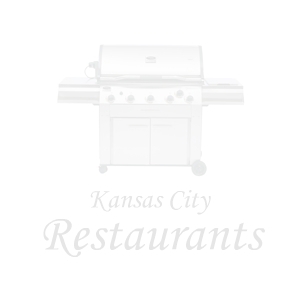 These items include entree salads, pasta dishes, chicken selections, a KC Strip, Fish, and several burger and sandwich choices. Open Daily: 11 a.m. - 3 a.m. The Granfalloon is located on the historic and beautiful Country Club Plaza in Kansas City, Missouri, and is easily accessible from any part of the metro area.Once on the Country Club Plaza, they are located on the north side of Brush Creek, the canal which runs east-west thru most of the Plaza. The nearest major intersection is Ward Parkway and Broadway streets. The Granfalloon is located between Jefferson & Pennsylvania on Ward Parkway. - from the Granfalloon official website. 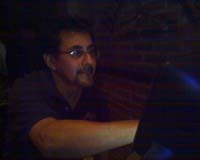 Beware of "Frankie" the Bartender - Although one of Kansas City's best bartenders, "Frankie's" drinks pack a serious punch! A granfalloon, in the fictional religion of Bokononism (created by Kurt Vonnegut in his 1963 novel Cat's Cradle), is defined as a "false karass" (imagined communities). That is, it is a group of people who outwardly choose or claim to have a shared identity or purpose, but whose mutual association is actually meaningless in terms of fulfilling God's design. The most common granfalloons are associations and societies based on a shared but ultimately fabricated premise. As examples, Vonnegut cites: "the Communist Party, the Daughters of the American Revolution, the General Electric Company, the International Order of Odd Fellows—and any nation, anytime, anywhere." A more general and oft-cited quote defines a granfalloon as "a proud and meaningless association of human beings." Another granfalloon example illustrated in the book was Hoosiers, of which the narrator (and Vonnegut himself) was a member. In social psychology the concept stems from Henri Tajfel's research on the minimum group paradigm, in which he found that strangers would form groups on the basis of completely inconsequential criteria, such as the flip of a coin. Subjects within such meaningless associations have consistently been found to act towards other members as if they were kin or close friends. The granfalloon technique is a method of persuasion in which individuals are encouraged to identify with a particular granfalloon, such as a pressure group or political campaign, as a means of securing for that group the individual's loyalty and commitment through adoption of its symbols, rituals and beliefs. The imagined communities of Benedict Anderson form a similar concept. Devilly (2005:441) considers that granfalloons are one explanation for how pseudoscientific topics are promoted. The band Granfaloon Bus released eight full-length albums, as well as several singles and compilations, between 1990 and 2003. 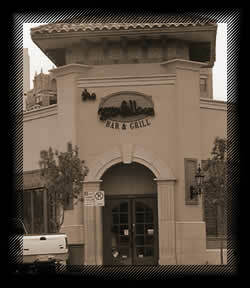 The Granfalloon is the name of a restaurant and bar in Kansas City, Missouri. Granfalloons is the name of a restaurant and bar in York, Pennsylvania.